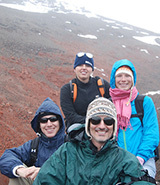 The interdisciplinary environmental studies major prepares students to address the challenge of sustainability through an understanding of the ecological, political, economic, historical, ethical, and social dimensions of environmental issues. Most environmental problems do not respect international or disciplinary boundaries. Our program is designed to provide you with the tools to tackle problems from an interdisciplinary perspective. You will study the historical roots of environmental issues and the protection of resources for economic development and public wellbeing. You will examine environments from ecosystems to cities, in both developed and developing nations, focusing on sustainability – how to live in ways that are ecologically and ethically sound and aesthetically engaging. Environmental stewardship is ultimately a question of effectively addressing the two ethical imperatives of the 21st century: 1) providing a decent quality of life for all the earth’s inhabitants; and 2) sustaining the basic natural systems upon which all life depends. 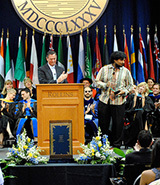 Environmental stewardship is at the heart of the College’s mission of global citizenship and responsible leadership. The curriculum provides a foundation of knowledge that will enable you to play a leadership role in addressing environmental problems. 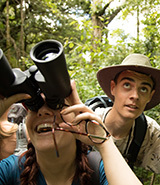 Field-based, experiential learning experiences are embedded throughout our Environmental Studies curriculum. These experiences play a key role in challenging you to apply what you have learned in class, boosting confidence in your knowledge and abilities, reinforcing your practice of global citizenship, and facilitating your transition to a meaningful career. Through our student-centered curriculum, you will gain an interdisciplinary background in several related areas of study or a concentration in a particular discipline as a basis for graduate study. Ultimately, you will be prepared for a productive career in a field that provides a foundation for a meaningful life. 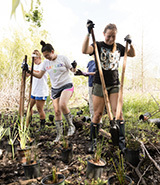 Florida has been the forefront in pioneering innovative solutions to environmental problems in recent years, giving Rollins Environmental Studies students a distinctive advantage. Our courses involve you in real-world environmental issues through international and domestic field experiences, internships, guest lectures and project-based courses. 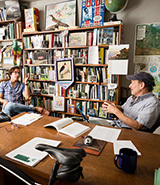 The Environmental Studies program strives to help you develop into a thoughtful, creative graduate with the skills and knowledge to make our community and world a better place. The interdisciplinary Sustainable Development and the Environment minor starts from the premise that the world faces two interlocking and immediate moral crises; 1) the need to provide a decent quality of life for all the world’s inhabitants and 2) the need to protect the earth’s natural systems upon which all life depends. In all likelihood, the earth cannot physically tolerate the spread of the pattern of “development” present in the now developed countries. Indeed, many vital ecosystems are already overstressed and near collapse. This minor prepares you to tackle the issue of sustainability from a number of disciplinary perspectives and cultural contexts. 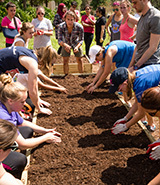 The minor promotes global citizenship through coursework that requires your examining questions of sustainability and development faced by people in communities and nations around the world. Experiential learning is promoted by field studies, which enable you to visit sustainable development projects in other countries and to engage in community service by working alongside local practitioners. The Sustainable Development curriculum provides an interdisciplinary foundation of knowledge that will enable you to play a leadership role in solving problems of sustainability at differing scales - from that of the individual to that of the global community. In combination with a related major (e.g. Environmental Studies, Political Science, Social Innovation, Social Entrepreneurship, among others), you will well equipped and positioned to join a rapidly expanding field. Governments at all levels, businesses large and small, as well as not for profit organizations in many fields are all adding sustainability as a major area of concern. The Sustainable Development minor strives to help you develop into a thoughtful, creative graduate with the skills, knowledge, and ethics you need to lead a meaningful life. This minor will broaden your horizons and introduce you to a deeper relationship with both society and the natural world.